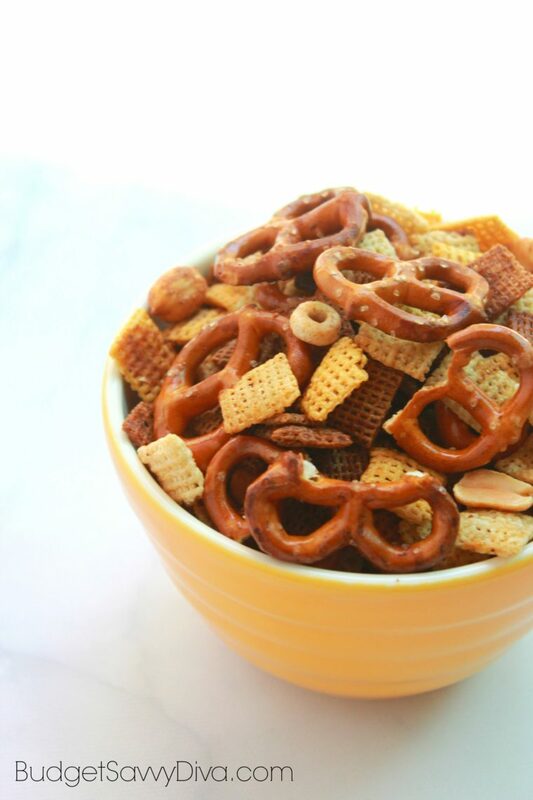 Chex Mix was one of my favorite snacks as a kid – when I discovered you could make Chex Mix at home — I was ALL over it. I remember laying out the mixture on trays and toasting the mix in the oven ( sometimes I would forget to set the timer and I would burn everything). 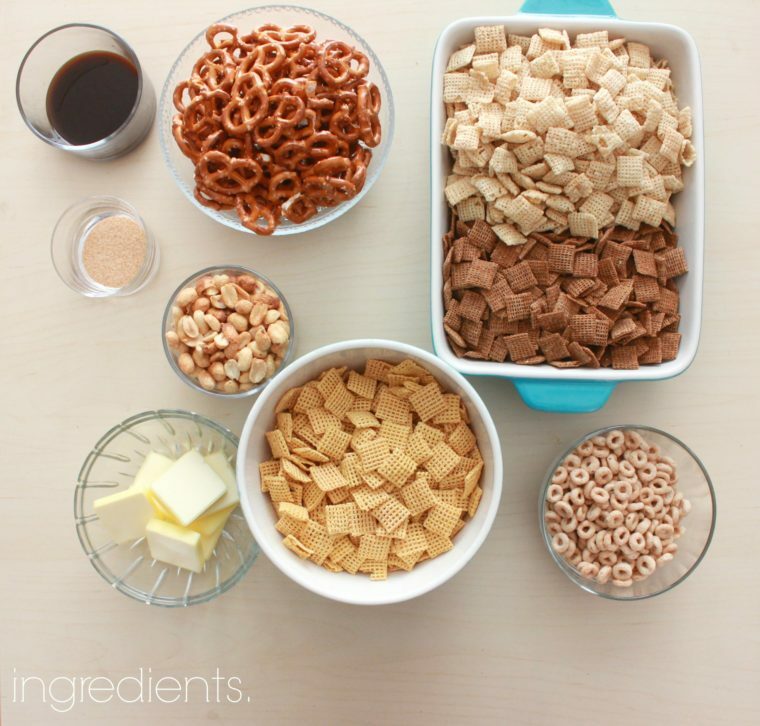 So when I found out that you could use your crock pot to make Chex Mix I could not wait to try it. 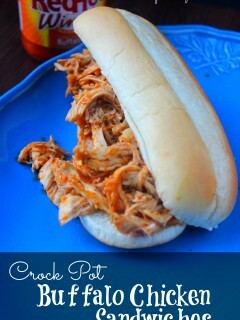 Seriously all you have to do it throw the ingredients into the crock pot and cook on low for 3 hours. This is the perfect amount to have at a party. This recipe makes about 11 cups of goodness. 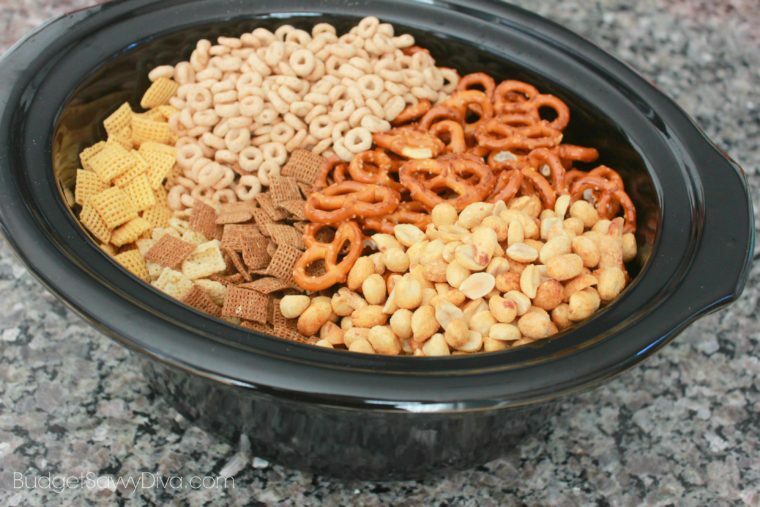 You can add whatever you like into the mix – I chose Cheerios, pretzels , and some peanuts. 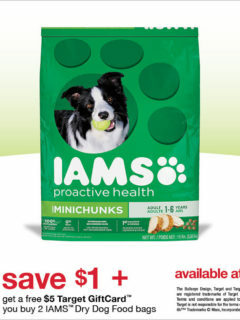 I wish I could find those AMAZING bagel chips. 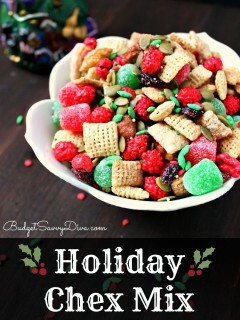 When I would eat Chex Mix as a kid that is literally my favorite part – I would pick them all out ( sorry mom). What would you add to your mix? 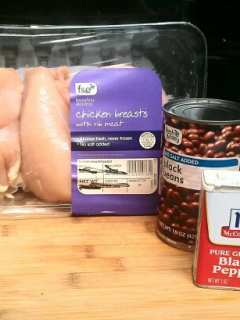 All you need to do is dump all the ingredients into the pot – give it a good mix and set it to low – make sure to give it a stir each hour you do not want the bottom to burn. 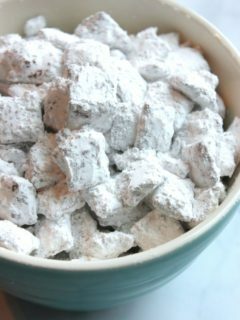 If you try the Crock Pot Chex Mix recipe make sure to comment and let me know what you think – I know your family will enjoy it. I think that the 1/2 pretzels is supposed to be 1/2 cup peanuts. Thanks for the recipe.